Bleeding gums is a signal that an inflammatory process is developing in the oral cavity. It causes actively multiplying pathogenic bacteria. In the absence of treatment, most often this can lead to gingivitis and periodontitis. Gingivitis is an inflammatory process of the gingival mucosa, the first sign of which is puffiness and redness, and then bleeding. Without treatment, gingivitis becomes a more dangerous disease – periodontitis. In this case, bleeding increases and the teeth loosen, which in the near future can lead to their loss. For the prevention and treatment of bleeding gums, it is necessary to contact Dr. Sahakyan, At My Dentist Burbank or call 1-818-578-2332 for an appointment today. the omission of the gums. One of the causes of bleeding gums may be the accumulation of food particles between the teeth and through the gingival margin. It is a result of insufficient oral hygiene. Actively multiplying bacteria, the nutrient medium for which is a plaque, produce acids and toxins. If plaque is not removed regularly through regular cleaning, it will become harder, and eventually turn into a so-called tartar. Eventually, this will lead to inflammation of the surrounding tissues and bleeding gums. 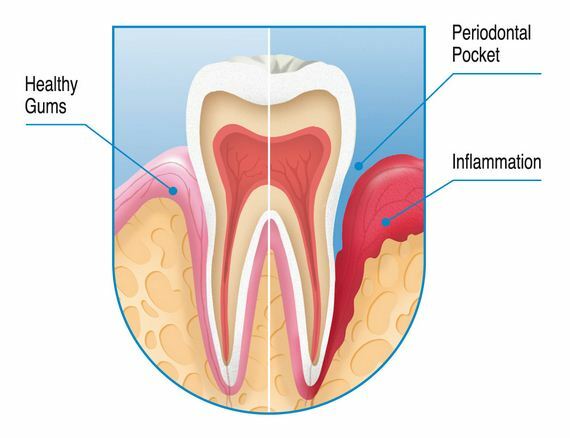 Inflammation and bleeding of the gums often occur when the teeth are cleaned with whitening pastes or there is damage done to the mucous membrane with stiff food. The cause of small bleeding from the gums may be traumatization of soft tissues with dental floss, toothpicks or other hygiene products. More serious are mucosal damages by poorly fitted dentures. As a result, jaundice can appear in the mouth, which is not easy to treat. Bleeding from the gums can be caused by toxic products produced when burning tobacco and other smoking blends. Chemical irritants include substances used in harmful industries. 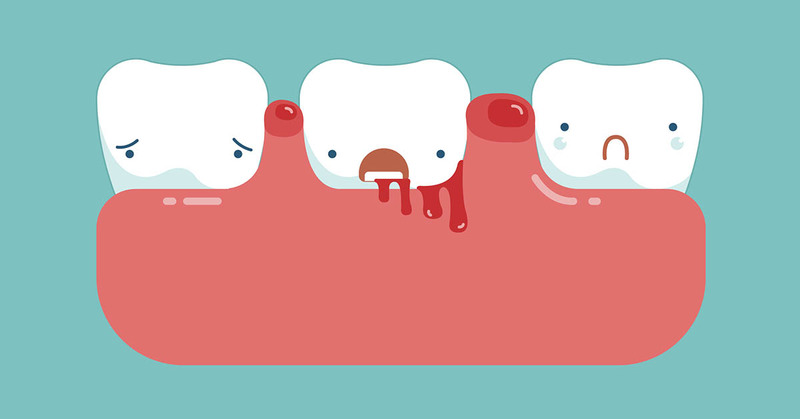 If the gums bleed, swell and hurt, it is an indication of an inflammatory disease. If there is no adequate treatment, the disease can lead to the development of a gum tumor. Vitamin K increases blood clotting. With its deficiency in the body, gums bleed from time to time. During pregnancy, women can also have regularly bleeding gums. The cause of this is a change in the hormonal background of the body. Soft gum tissue in pregnant women swells and becomes looser, so it becomes easier to injure. This phenomenon usually passes away: women get rid of it after the childbirth. It is important to floss your teeth correctly, removing the plaque as much as possible. Incorrect application of dental floss can lead to trauma and bleeding gums. It provokes an inflammatory process. Ask your Burbank dentist to tell you about the technique of using flosses. In addition, you need to be able to choose the right dental floss. 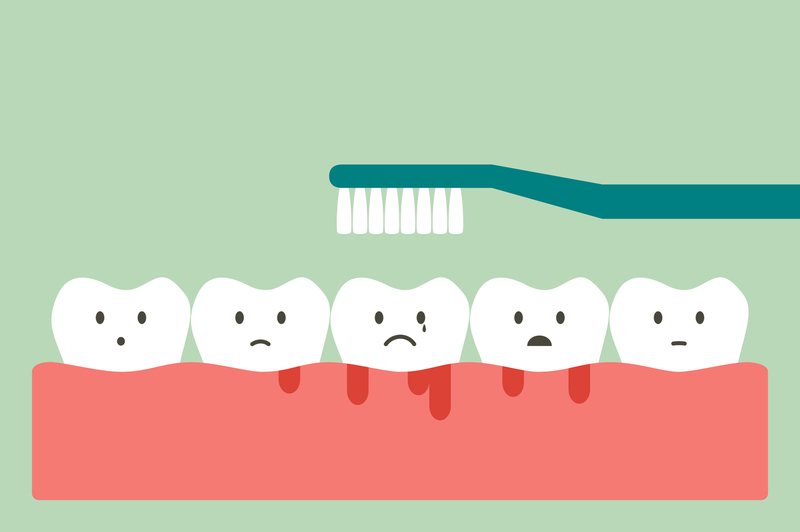 What to Do if You Have Bleeding Gums? First of all, take a look at your tools.Pay attention to the toothbrush you are using. Since it is impossible to get rid of bleeding gums without careful oral hygiene, you need to brush your teeth twice a day using a soft brush. To prevent gum disease, you should change your toothpaste from time to time. Choose options with different amounts of calcium, fluoride and other nutrients. You need to change your toothbrush every three months as the Best Dentist in Burbank, Dr. Sahakyan recommends. Use dental floss clean your tongue. In addition to all known means of hygiene, it is worthwhile to use dental floss. After eating, you need to use dental floss. This hygiene product helps to remove food particles from the spaces between the teeth. To make the effect more pronounced, it is necessary to clean the tongue with a special brush. Most bacteria that cause inflammation of the gums to accumulate on the tongue. Rinse your mouth.One way to prevent bleeding is to rinse your mouth after eating. To do this, you can use ordinary boiled water, special medical products, or mouth rinses. Rinse will help wash off the gums and teeth from food particles. 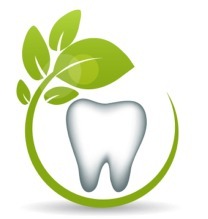 Rinsing reduces the number of harmful bacteria in the mouth. Rinse for bleeding gums also contain substances that help to remove plaque and refresh breathing. Remove plaque. To cure the bleeding of the gums you need to eliminate the cause of the inflammation. It is necessary to remove plaque. It serves as a breeding ground for the propagation of pathogenic bacteria. Dental plaque or dental stones are removed by various means (using ultrasound, using chemical treatment with hydrogen peroxide and acid, using the AirFlow method, etc.). These procedures are recommended at least twice a year. Maintain a healthy diet. For the prevention and treatment of bleeding gums, it is necessary to exclude from the diet acute, salty and acidic food. These cause irritation of the tissues. For gum treatment to be more effective, it is recommended to follow a diet with a moderate carbohydrate content. Eat foods rich in calcium and vitamin C.
Ask the dentist if you have dentures that do not suit you or cause pain in the gums. Visit the dentist two times a year for professional removal of dental plaque and preventive examination. Avoid the use of tobacco in any form, as it only worsens the bleeding of the gums. 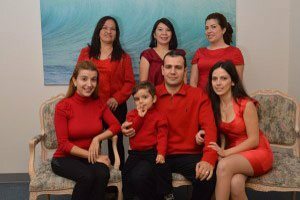 To find out the specific cause of bleeding gums, visit the best dentist in Burbank, Dr. Sahakyan, at My Dentist Burbank. Please call 1-818-578-2332 or contact our dental office today.